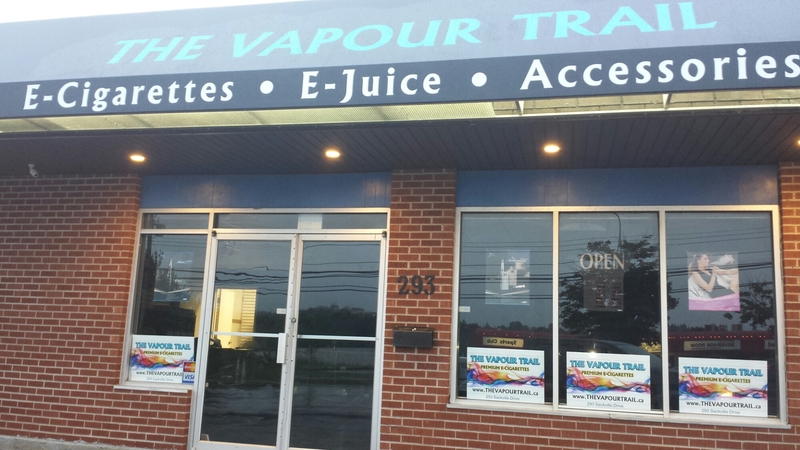 New E-Ciggy Place On #Sackville Drive. The Vapour Trail! | Sack-Vegas!!!! New E-Ciggy Place On #Sackville Drive. The Vapour Trail! This place popped up across from the bowling alley recently. It’s in the spot where Marlin Pools And Spas stopped in and out for a quick cup of coffee. If you are into the vape scene – here ya go! A big welcome to the ‘Sack to The Vapour Trail! Posted by Sacky on July 28, 2014 in Welcome To Sackville!. is the vapour trail open on Remembrance Day ?